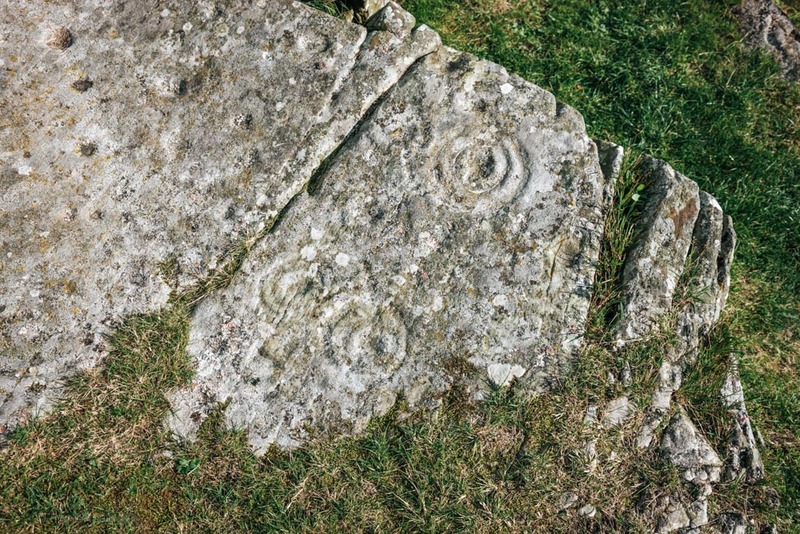 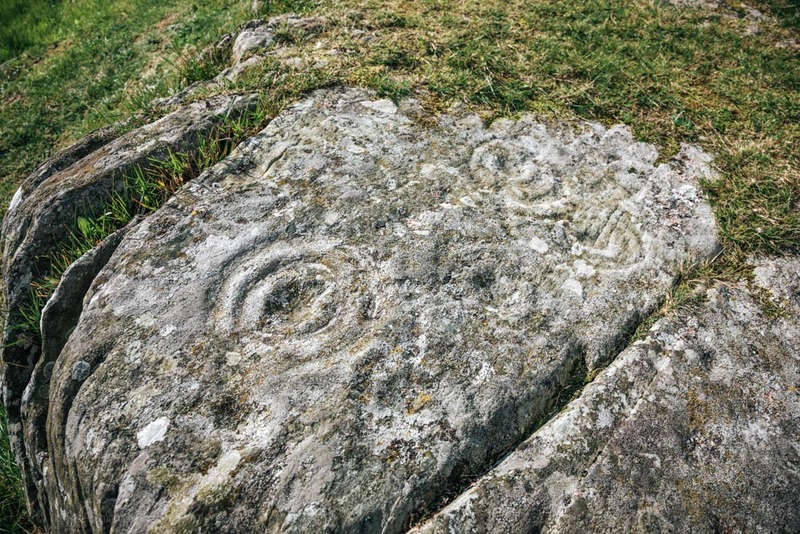 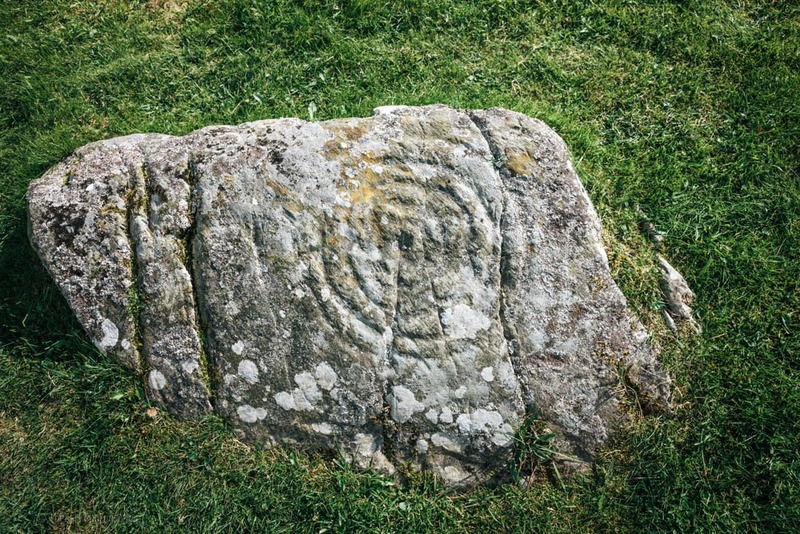 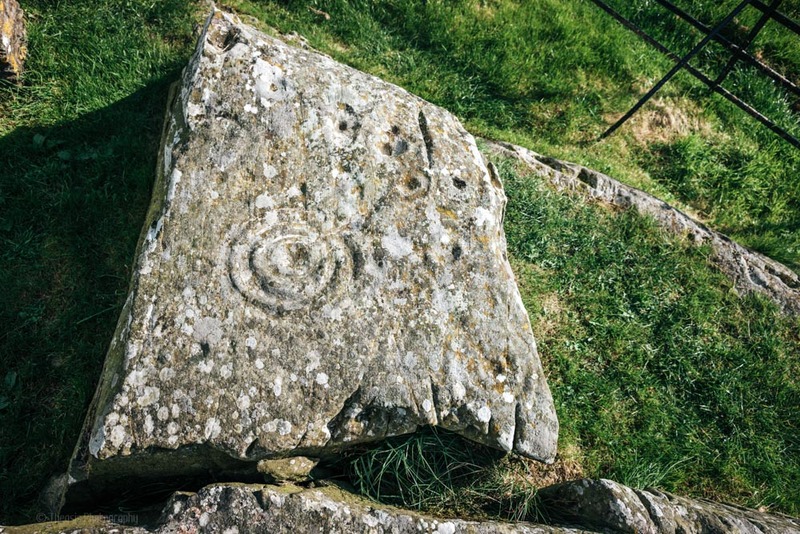 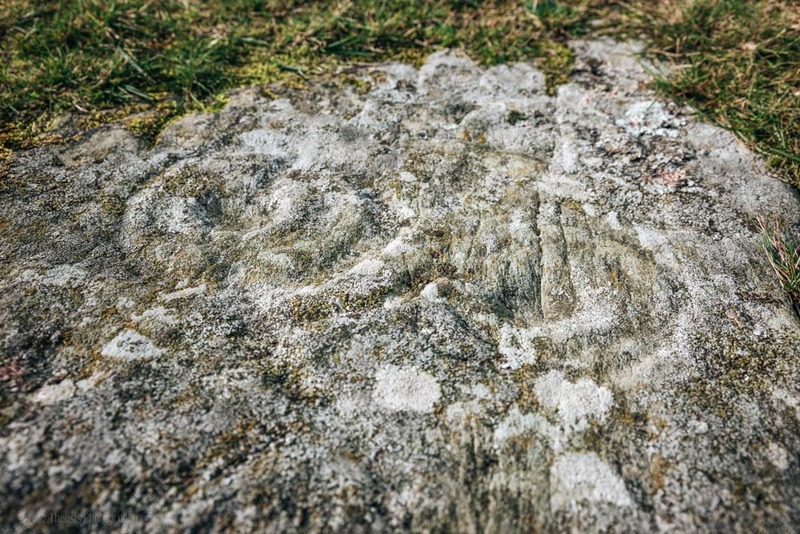 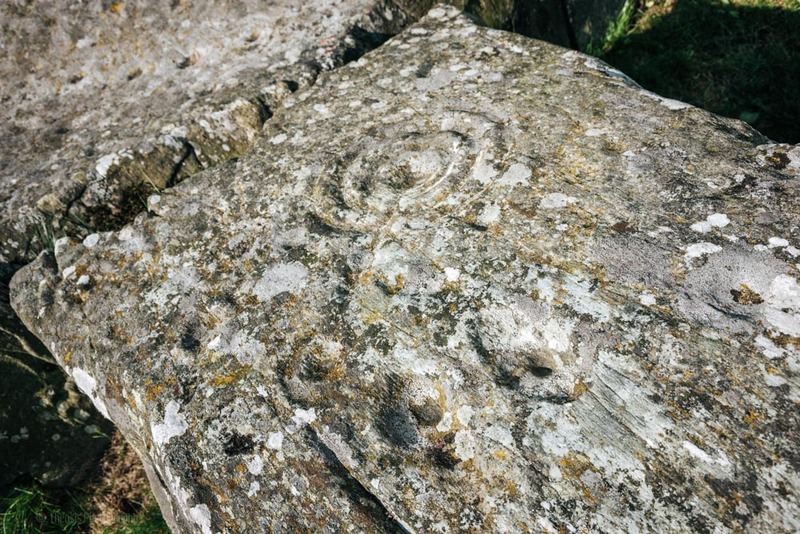 On outcrops of grey sandstone a few hundred metres from the Drumtroddan Standing Stones are a series of over 80 cup marks and cup-and-ring-marks, considerably weathered but still very visible. 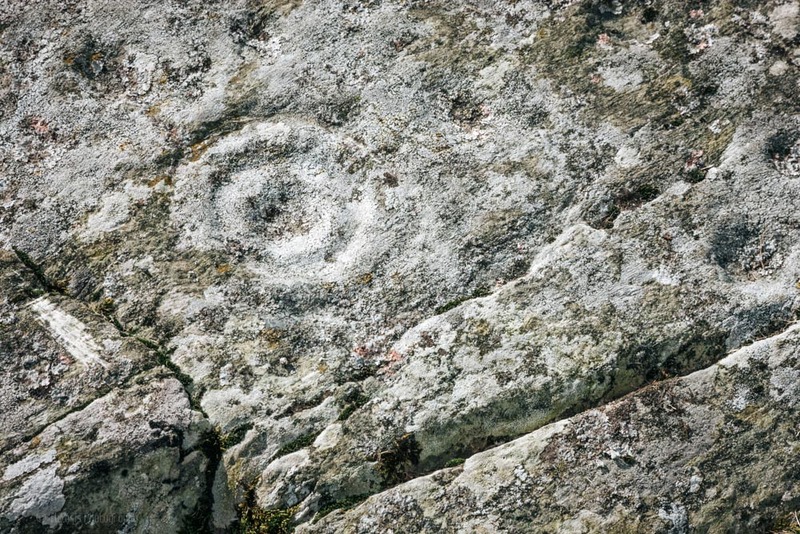 One boulder shows a cup with five complete rings surrounding it. 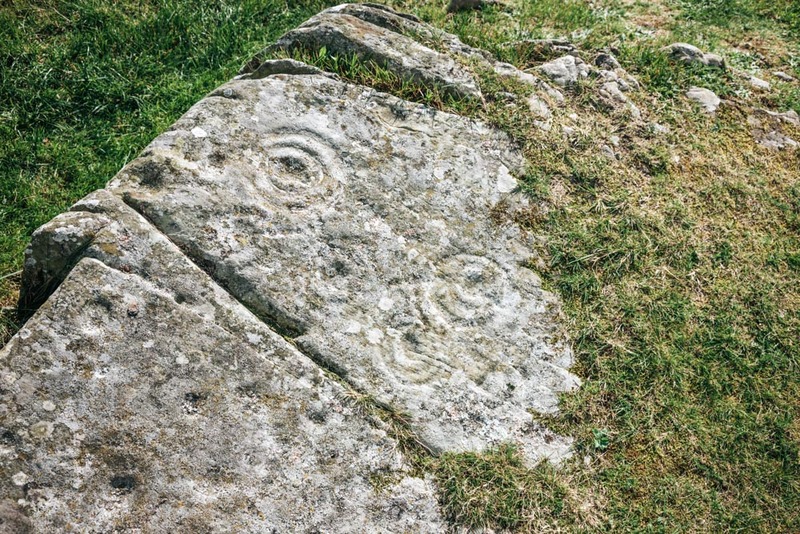 There are also many additional linear grooves - some are clearly natural, others have been carved.